Did you watch the Oscars? I watched some of them at Eating Club, before heading home to watch them from my own bed. Chloe and I will be posting a full recap of all the deliciousness tomorrow. Stay tuned! I have my mom to thank for my interest and talent in cake decorating. My mom is one of the most creative people I know. Growing up, she was always doing something crafty, or helping me be crafty. 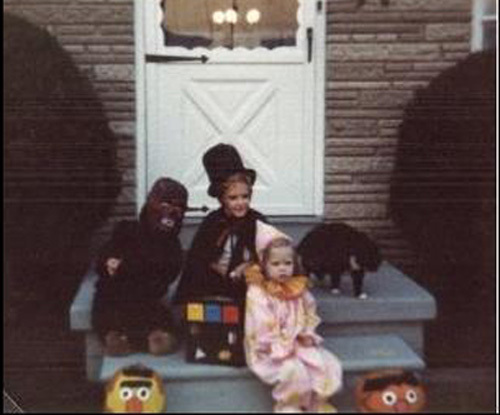 She made just about all of my Halloween costumes (this is the only picture I had, and I don’t remember if she made this one). 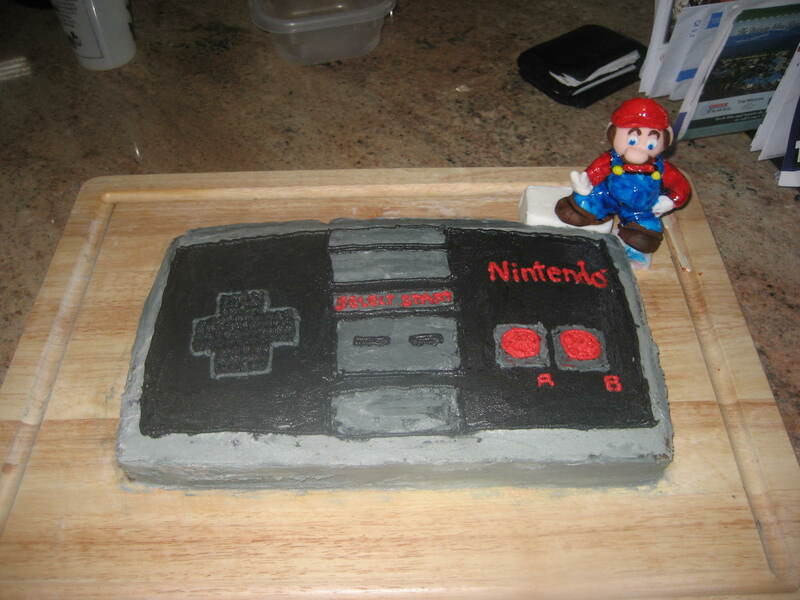 My mom also has been decorating cakes for as long as I can remember. I don’t think my mom has ever purchased a cake from a bakery or supermarket for a party or celebration. Thinking back on all my birthday cakes, I’m 99.9% sure they were all made by my mom, and each and every one was unique, and special to me. My mom’s creativity shines through when she decorates cakes. One cake in particular that I remember she made for me was a swimming pool cake. This cake had a pool made of blue Jell-O on top, lane lines made with Twizzlers Pull and Peel threaded with mini-marshmallows, and hand-made diving blocks and flags. Super creative, right? 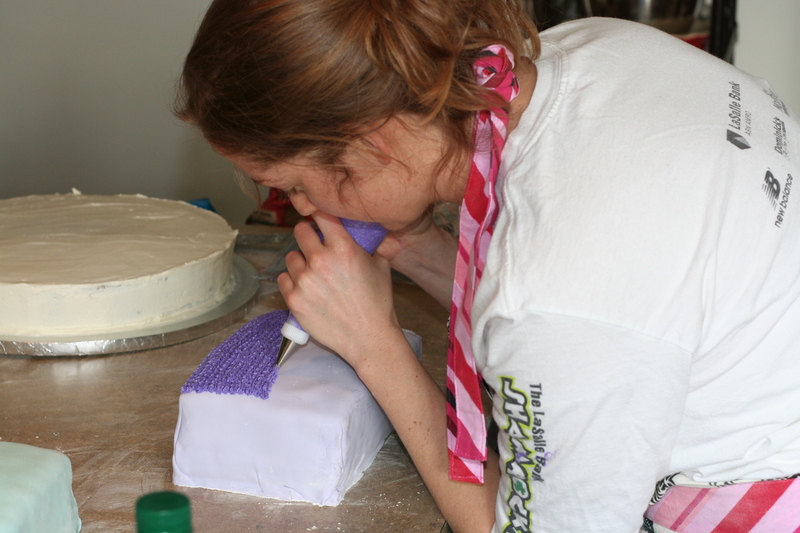 She would decorate cakes for birthdays, going away parties, anniversaries. I enjoyed watching her go to work, but of course I also enjoyed eating the cakes! A few years ago, I decided to give it a go myself. This was a lot of fun, but black icing was a) really hard to make and b) left our tongues, lips, and teeth black! 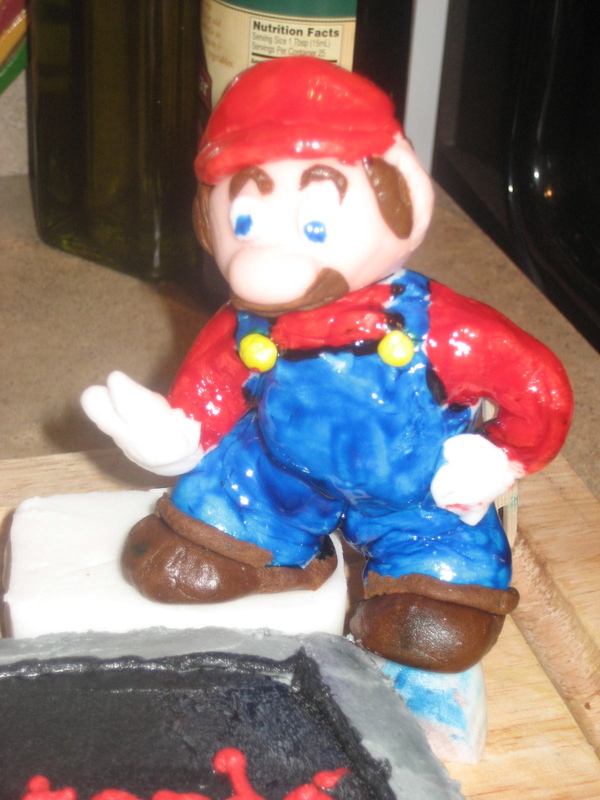 Last summer I had my first real cake decorating “job”. 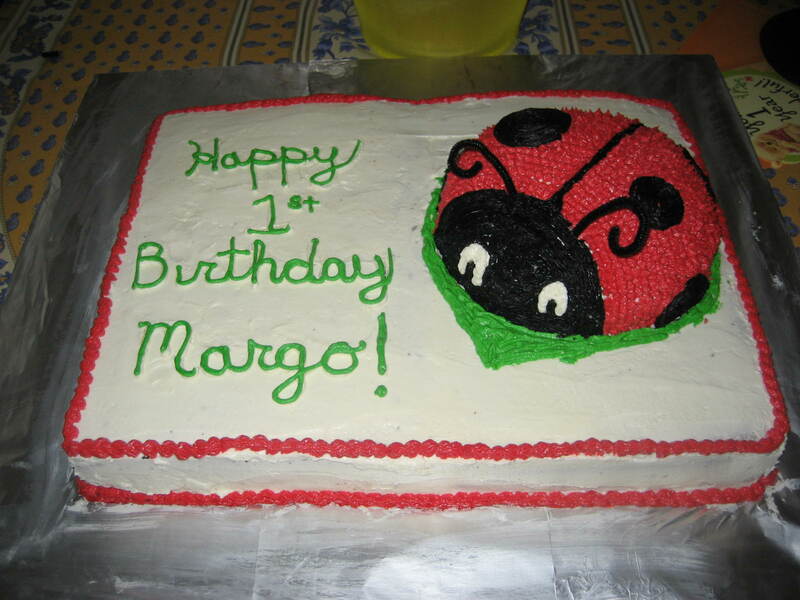 I was commissioned to make a ladybug birthday cake for a friend of a friend’s daughter’s 1st birthday party! The assignment was for two cakes: one for the child to destroy (aka dig in and get cake everywhere!) and the other for the adults. 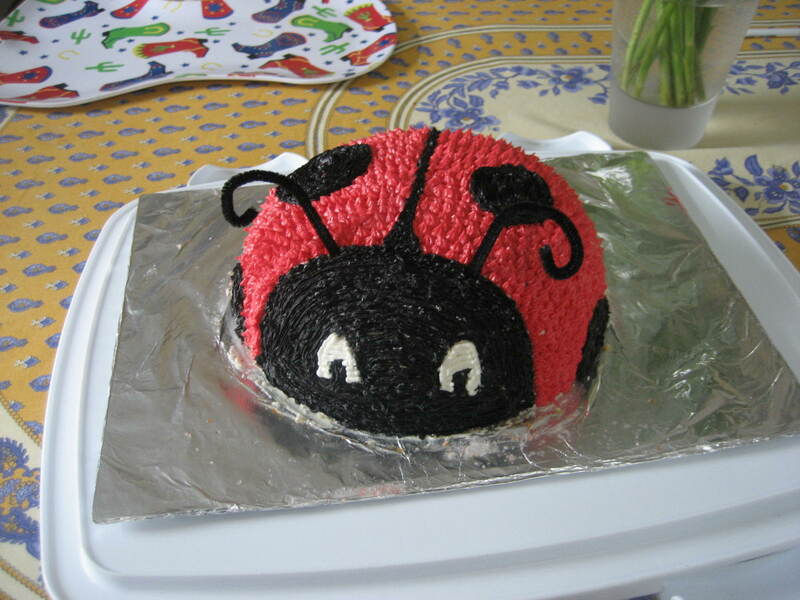 We discussed cake ideas over a meal at The Cheesecake Factory and she gave me one of the napkins she had bought for the party, so I could see what the ladybug looked like. From there, I was on my own. I had a ton of fun making this one. I find it therapeutic to decorate, and though its very time consuming, I love the finished product! This past weekend, I had my second real decorating job. This was for a friend of a friend’s 40th birthday, and was my most challenging cake to date. 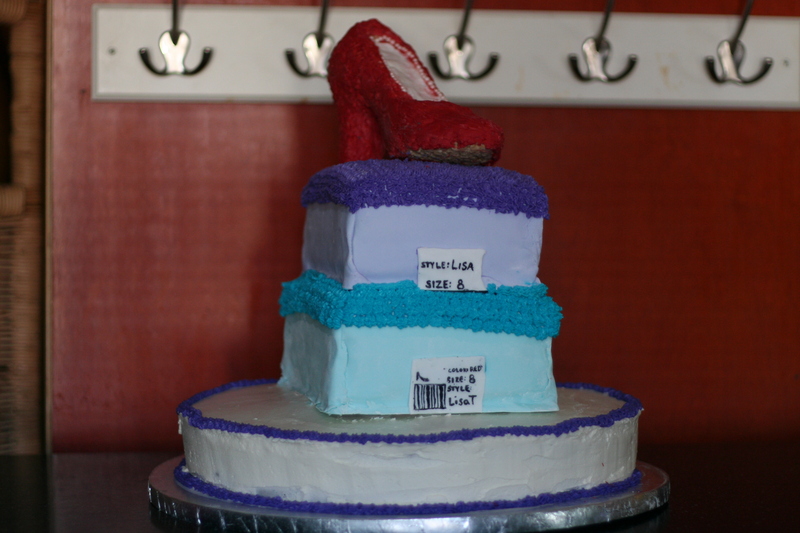 My task was to create a cake with shoe boxes, topped with a high-heel shoe. This would be my first tiered cake, and also my first time using fondant. Eek! 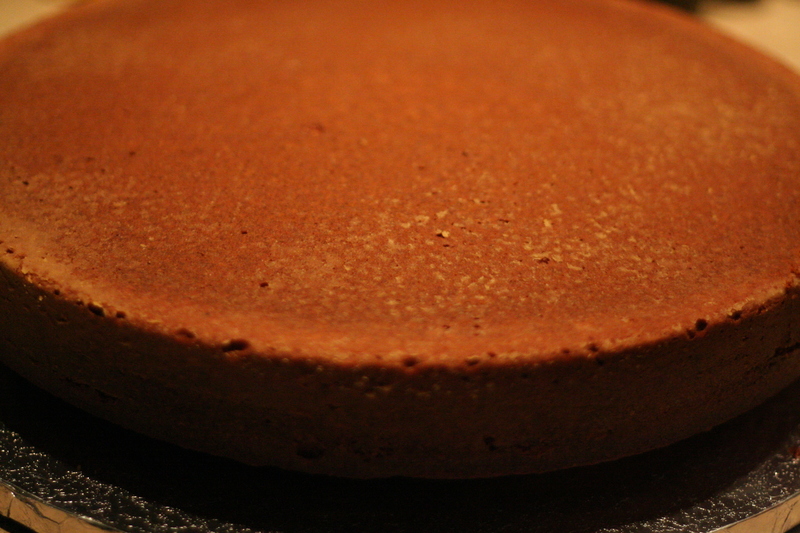 I made 3 cakes: a 14 inch round cake (vanilla), and two 13 x 9 cakes (one chocolate, one butter). Do you have that in a size 8? I covered the shoe in red candy- the kind you melt and it hardens- and I also added some pearl sprinkles to the foot opening for some bling. I made labels for the shoe boxes, and then they were ready to be assembled. This part made me super nervous. I had never made a cake with 3 tiers before! 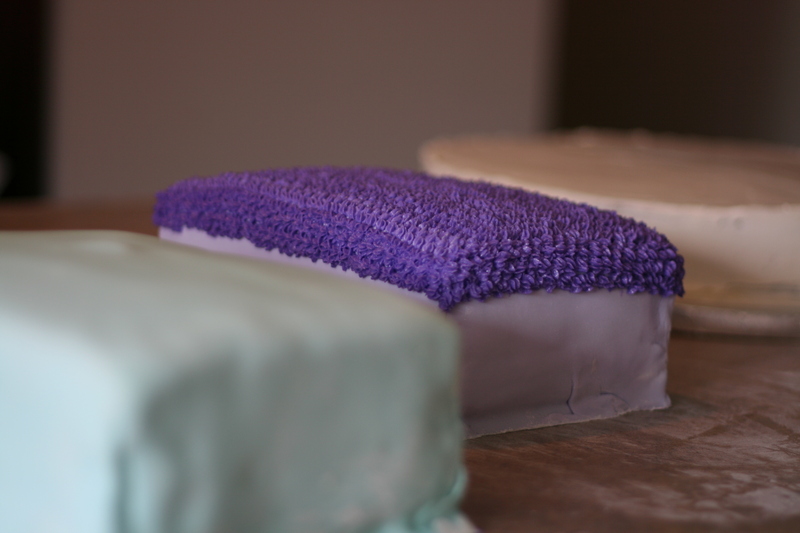 I had built in some extra support into the cakes: cardboard bottoms on the boxes, and fat plastic straws inside each layer, so I probably didn’t have to much to worry about…but c’mon this was serious stuff! 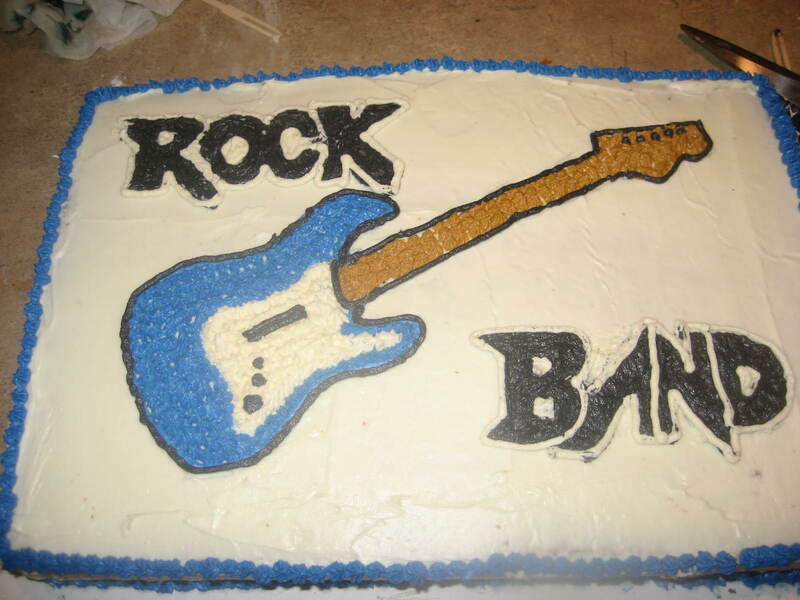 Though there’s no award for “Best Decorated Cake” (which I definitely wouldn’t win anyhow…Um, hello Cake Boss and Ace of Cakes), I’m going to come up with my own award: “The Most Creative Mom” Award. Thanks mom, for the many crafts we did together when I was younger, for all your help with my school projects, and of course for sharing your talents and creativity with me. You’re the Best! Question of the day: Do you have a talent or skill that a family member has passed on to you? What is it? Steph! I love the cakes, you’re so talented! 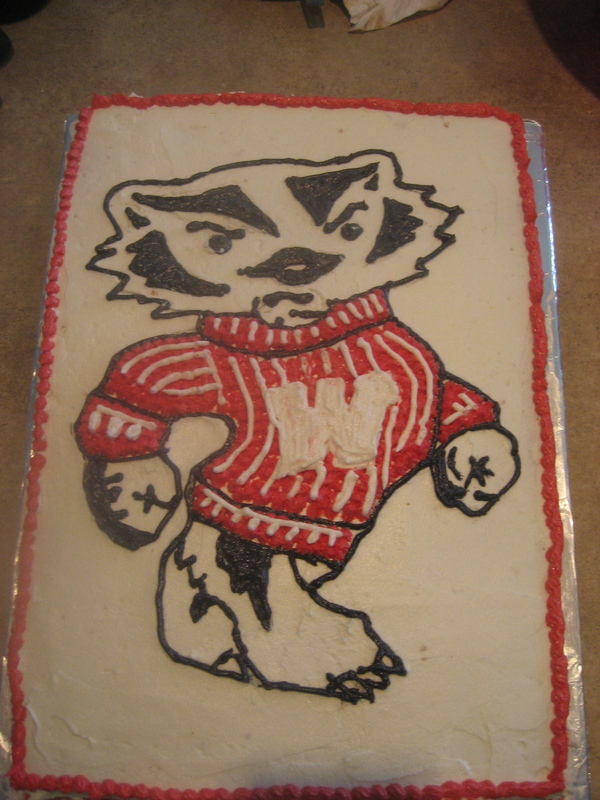 Also, I must say… I’m partial to the Bucky cake that you made – it’s awesome 🙂 Go Badgers!!! Haha! I knew you’d like that one! Thanks for the compliments! Yay for Bucky! 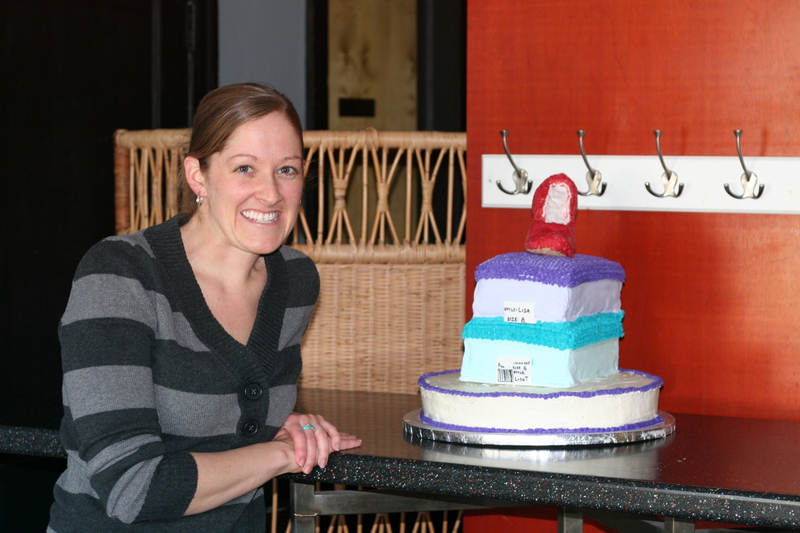 I loved that cake Steph – it was so special! 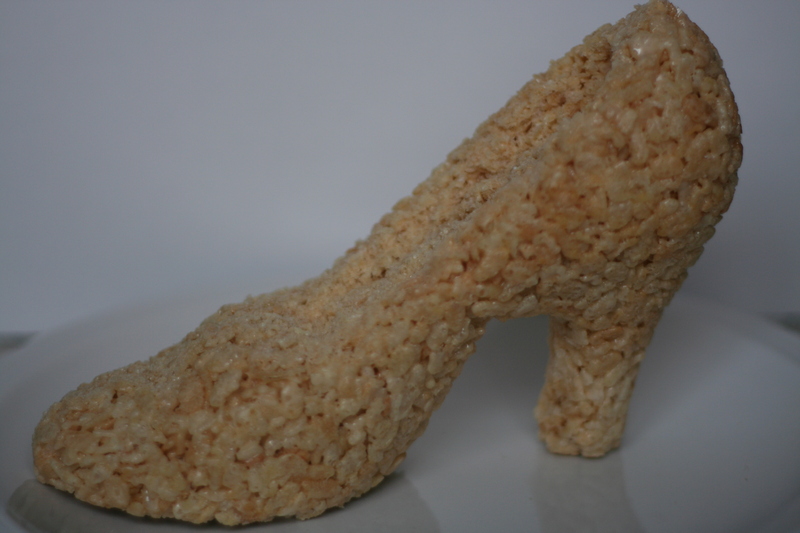 And for the record, if I had access to rice krispie shoes, I would eat them all the time! A special cake for a special friend! I was awfully tempted to just eat the shoe…but I resisted! These look great! You’ll have to do the rice krispy turkeys for Thanksgiving. Oh I definitely will!!! Thanks Leah! Thanks Kelly! nice to “meet” you too! 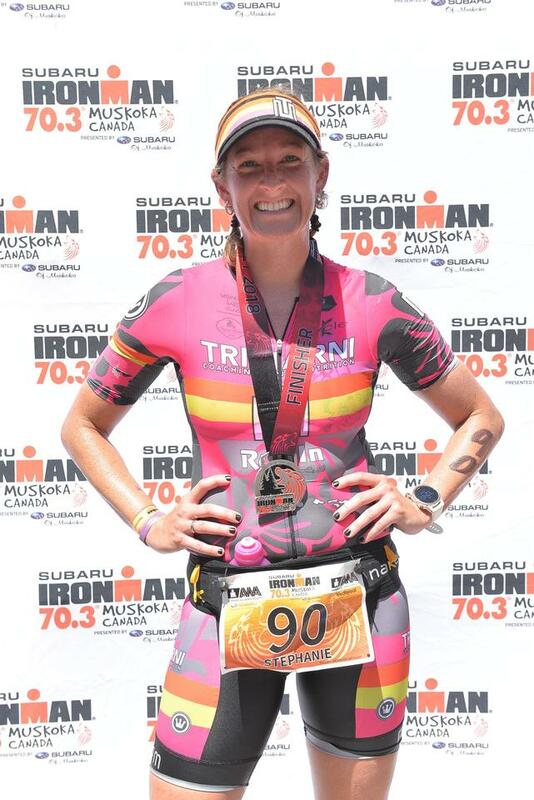 You should definitely do a tri! It’s a great way to mix up your training, and push your limits! 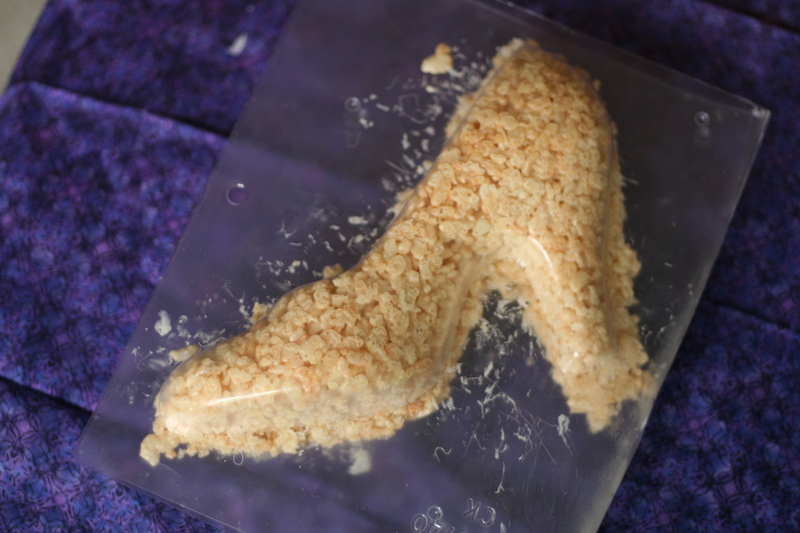 I want a high heel shoe cake for my birthday! Maybe I will. That would mean another fun trip to visit you!! Oh yeah! I remember you talking about cake decorating! So cool.